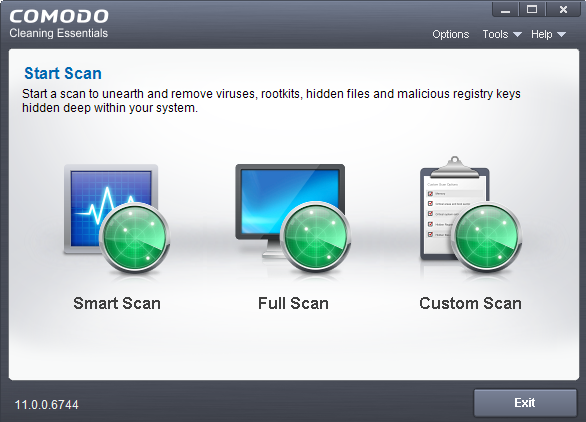 The custom scan feature allows you to check for malware in specific files/folders/drives. You will need to restart your computer if you choose to scan memory, critical areas, or hidden registry services/files/folders. Select your the scan preferences on the left. 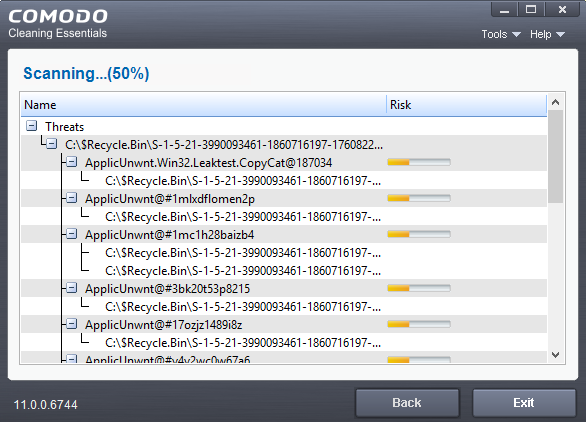 Choose which files, folders or drives you want to scan on the right. Memory - CCE scans system memory at the start of the scan. Critical areas and boot sector - CCE scans the 'Program Files' and 'Windows' folders, all user folders, important registry keys, and the system startup area of your hard drive. 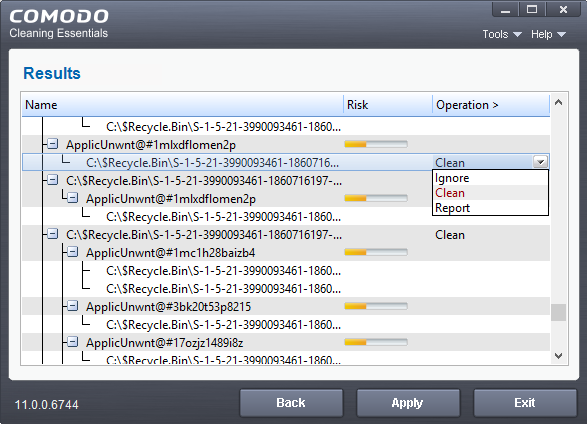 Hidden registry objects and services - CCE will identify and scan obfuscated files and services. 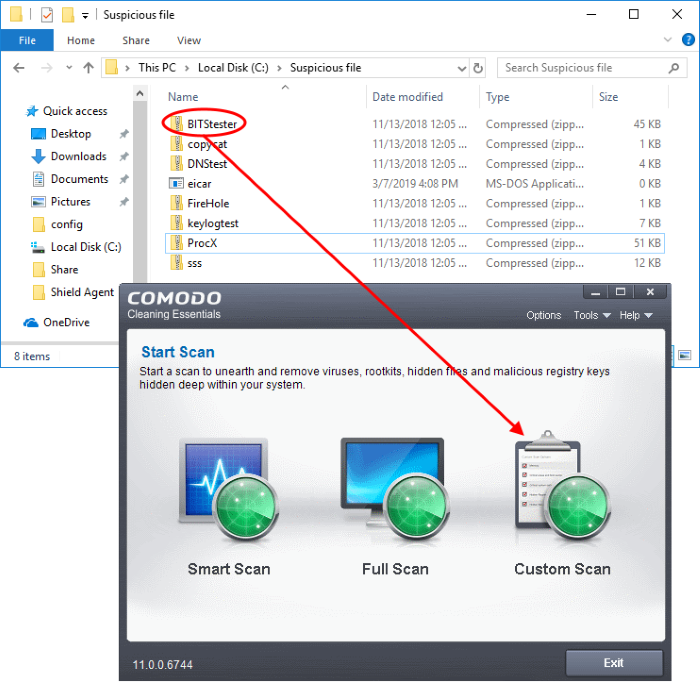 Hidden files and folders - CCE scans any invisible items on drives in the 'Scan Target' area. 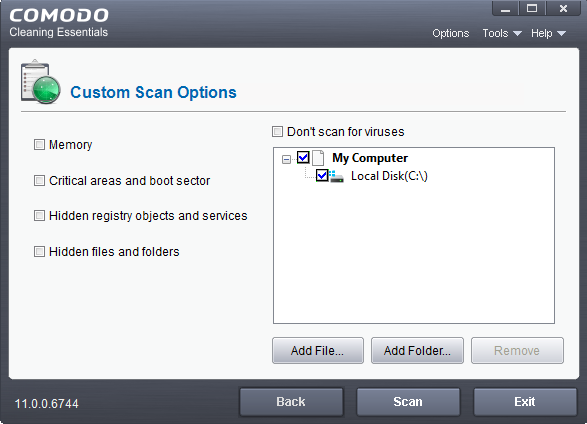 Don't scan for viruses - CCE will NOT scan any target in the box on the right (it will be grayed out). If this option is selected, you must choose at least option on the left. Save all your work first then click 'Yes' to restart your computer. If you plan to restart later, click 'No'. 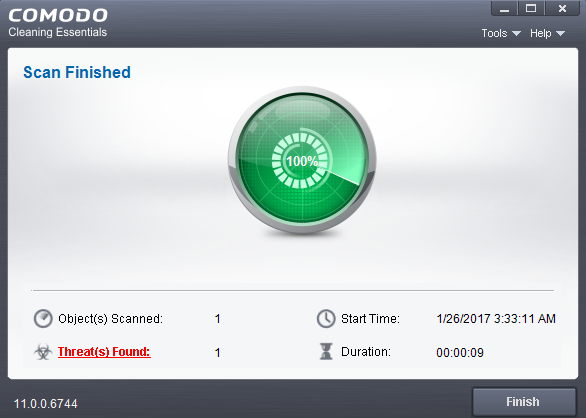 The scan will run the next time you restart your computer. The folder/file will be scanned immediately. Results are shown at the end of the scan. See The Results if you want help with the actions you can take on this screen.